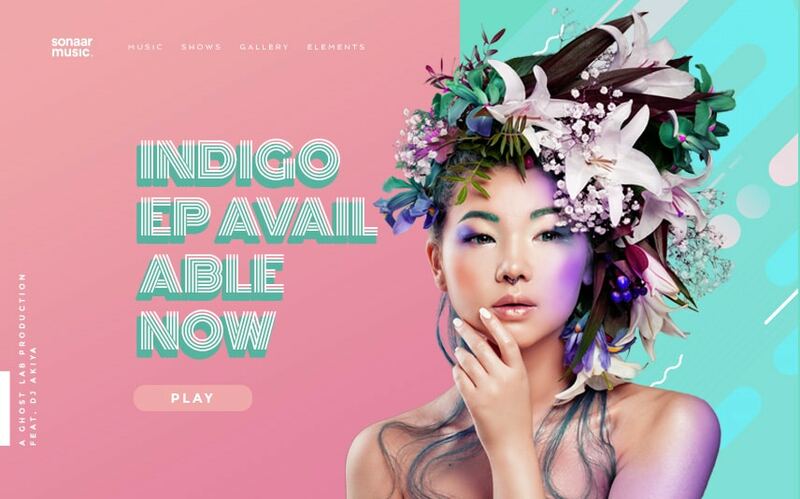 Indigo is one of our best Record Label WordPress theme right now for artists and record labels. The simple but effective layout make this record label template a winner for any record labels, agencies, music producers and sound designer. Unleash your creativity with Indigo. 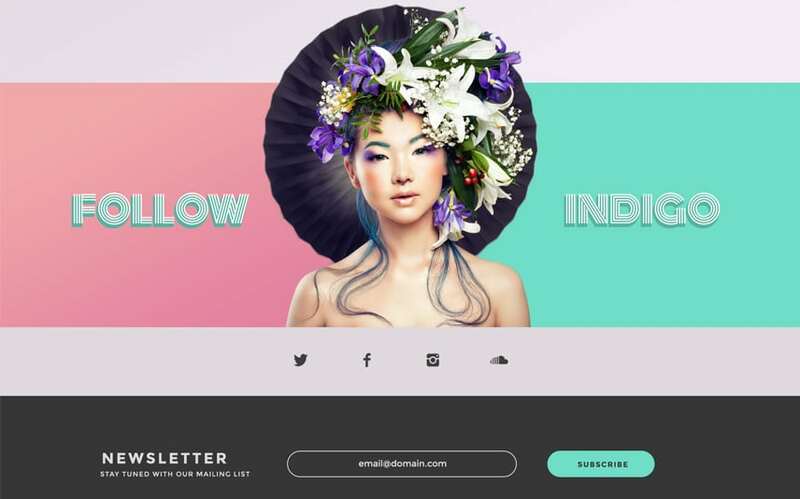 If you want a truly amazing Record Label WordPress Theme for your company, check out Indigo. It’s the new era of websites for creating a successful online presence to showcase your music this year. The theme is very colorful and have all the features to showcase your music, EPs, artists and events. You can manager everything within WordPress and customize all the colours, typography and every little pieces of content that you will see in our demo. If you are wondering what is the best record label templates in the music industry, Indigo is the real deal. 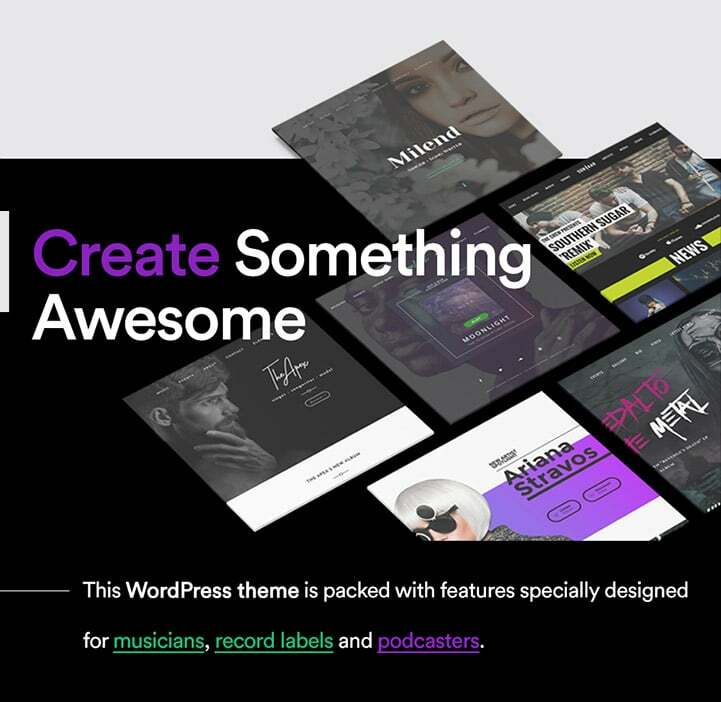 This WordPress theme for record labels is ready to use and will save you a lot of time to launch your website online. Thanks to the one-click demo importer. All our music themes include a page builder Visual Composer. You can design unlimited page layouts and landing page for each of your artist bands only by dragging and dropping widgets and construct your record label website the way you want. It’s very powerful. Another great way to achieve a great label website is to use Revolution Slider which is a premium plugin included for free with this music WordPress theme. You can now create beautiful photo sliders to present your artists and musicians as well as using video backgrounds to promote artist music videos. It gives a very immersive feeling and will improve the UX of your record label agency website. 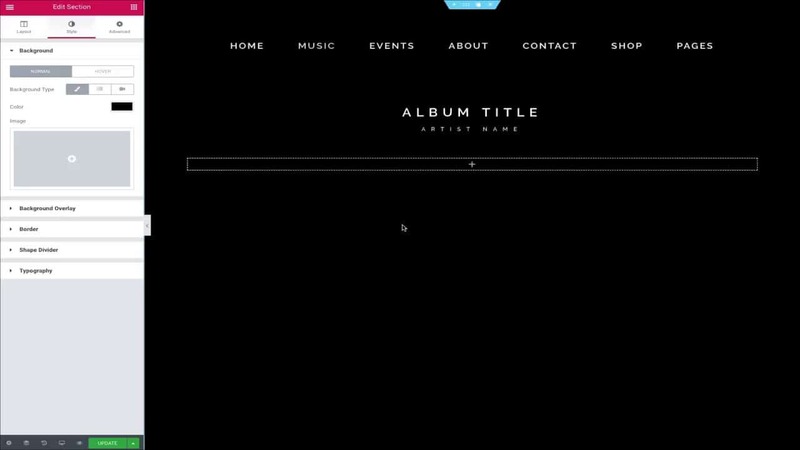 This theme for Record Label has so much theme options to customize your site. We have included 4 different custom post types: Artists CPT to manage your artist landing pages, Events CPT to manage Events and upcoming events, Playlists CPT to manage your music, albums, mp3 and vinyl records and Videos CPT to manage your music videos. We also have included more than 100 pre-designed widgets specially made for music and record label website. 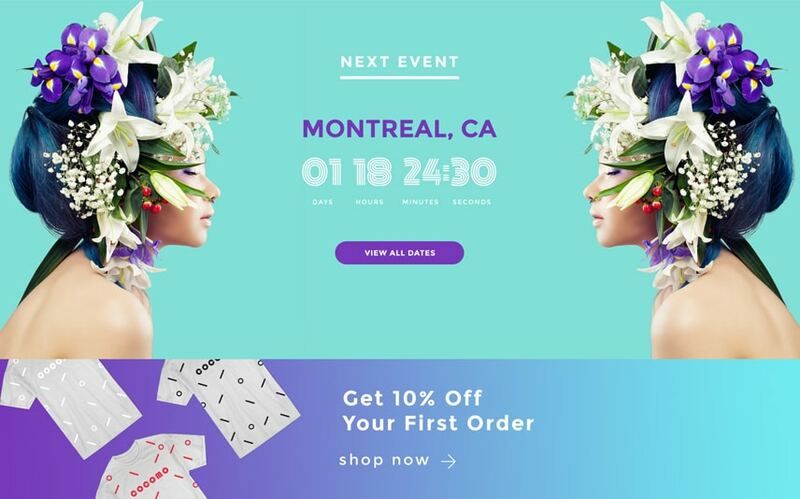 So if you are seeking a solid and unique Record Label WordPress theme for your next music and bands website, you’ve just found Indigo.